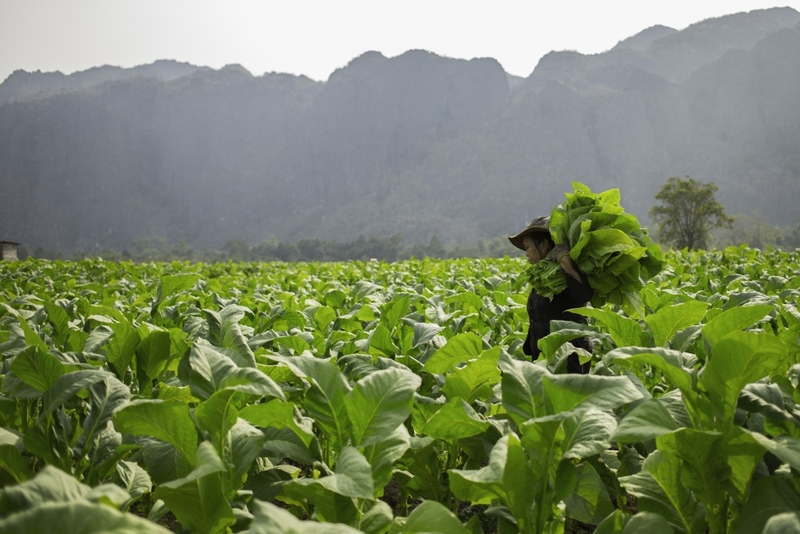 Tobacco has long been a feature of the agricultural landscape of Laos, but the early native varieties had several uses other than smoking. Local tobacco leaves were burnt during funeral ceremonies, and farmers also used the smoke as an insect repellant when working outside, especially during the rainy season. In fact, it wasn’t until the late 1950s that the French introduced commercial tobacco to Laos, bringing industry varieties and cigarettes, says the Deputy Managing Director of Lao Tobacco Limited, Khamphoumy Keophengsy,. Mr Khamphoumy studied economics in Russia in the 1980s, and has been working with Lao Tobacco Company – originally as a leaf technician, and now as Deputy Managing Director of HR and Leaf Growing. “I have watched the company grow over the years,” he says. Not long after, in 1958, the country’s first tobacco company, Bolisad Yasoub Lao, was set up by a Chinese businessman and until the Revolution, and the establishment of the Lao PDR in 1980, this was the only tobacco company in Laos. The following year, in 1981, Bolisad Yasoub Lao became the Lao Tobacco Company, using a mixture of locally grown and imported tobacco and producing several trademarked varieties of cigarettes. 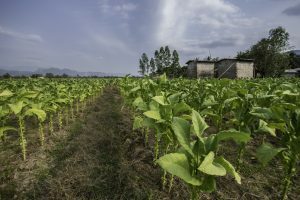 In 2001, the company became a joint venture between the Lao Government and Imperial Tobacco group (UK) and S3T (Singapore), with the government focused strongly on helping farmers out of poverty by helping them grow successful tobacco crops. 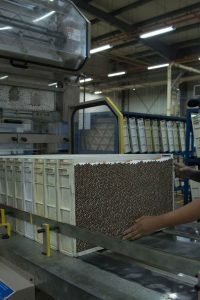 Back then, around 300 families were growing tobacco for the company, and producing 600 tonnes of leaf a year. Today, 1500 families make a living from growing tobacco. “In Laos, we have only the best farmers producing crops for us, so we have no need to buy tobacco from elsewhere,” Mr Khamphoumy says.